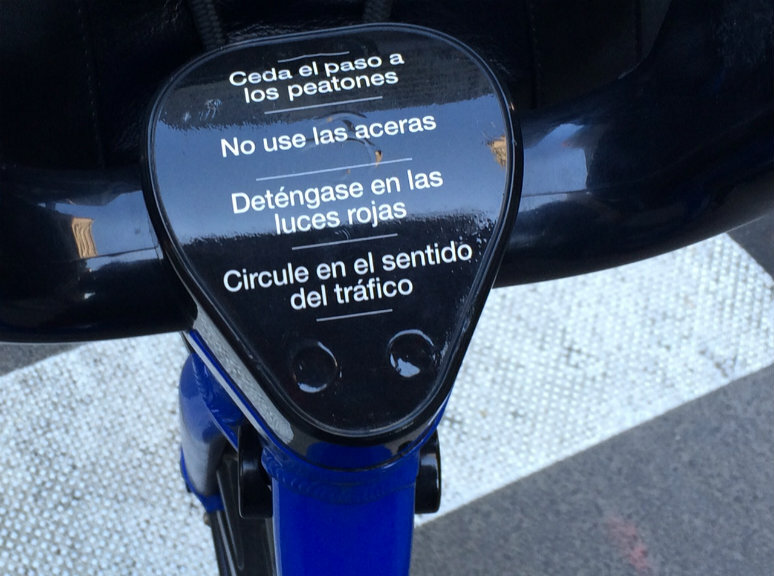 I picked up a Citibike today and was glad to find all the relevant information in Spanish. Seriously, I think this was awesome, but I kind of felt bad for the non-Spanish crowd. This entry was posted in Language, New York City, Spanish and tagged Citibike, English, New York City, Spanish. Bookmark the permalink. ¿Y no será que creen que a los latinos -o hispanohablantes- hay que recordarles las reglas, en tanto que los que saben inglés las conocen y siguen…? #EsPregunta.